Android smartphones and mobile devices have so many uses (we generally refer to them as being mobile offices, mobile communication devices, mobile entertainment centers and security centers) that we tend to forget how new all of this communications and computing revolution is and we sometimes stumble on an app that makes our smartphones even MORE useful. In fact, android smartphones and mobile devices are so useful because they have instant Internet communications and a LOT of computing power but if you really think of it, we haven't even started scratching the surface of just how useful these devices can be. Just think of it. Our smartphones give us the ability to instantly communicate with ALL of our friends at once. We can enjoy their opinions, their intelligence and their knowledge and put them to use on our behalf, if only we the right app for the job. Well, we found the RIGHT app for the job. 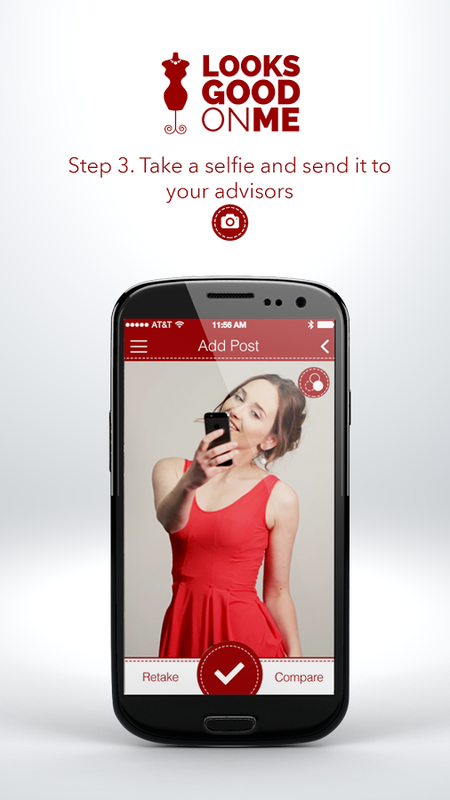 Enter Looks Good On Me, an app that helps you leverage all of that friend brain power on your behalf. What this app does is quite simple and it comes to solve a problem that is quite irritating, though not life threatening. The app creates a social network of friends and people whose opinions the user appreciates. 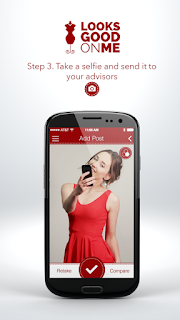 Then, the app sends a selfi of the user to his or her friends to help him or her decide whether what he or she just tried on is a good fit, and does it look good. The app gathers the votes and comments of the friends and displays them to the user, to help in the buying process. We gave the app to our reviewers and waited for their remarks. Our reviewers loved the concept. 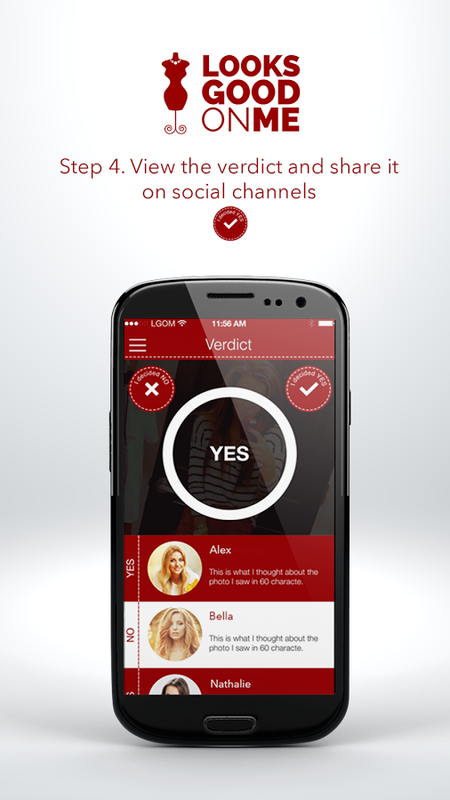 The idea is quite innovative and the app is very useful as it gathers and distills the opinions of the friends into a clear and simple vote, and the comments. The app also has very useful notifications, that can be sent when entering a clothes store to let the friends know their opinion will be required. The reviewers loved the interface and the design. The app is very well designed and is not only simple and easy to operate, but also nice to look out which is an important but commonly neglected feature. . The premium version was also well worth it, as it makes comparing two outfits very easy, and we must not forget that comparing two outfits is really what we need while shopping. Our reviewers also sent in several tips about using the app. First of all, notification. 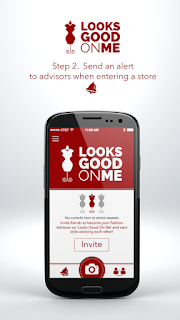 The app allows the user to send a notification to friends when entering a shop, to make them all ready to give their opinions. Our reviewers suggest to wait with the notification till we find two items of apparel to compare, because if we enter a store and find nothing, and our friends sat and waited with their smartphones to give opinions - this will NOT make them happy. Another tip is to make the time to give opinions to others. If you want others to take the time and effort to give your honest opinions, you must make the time and effort to give as well as you take. Another tip is to select people that will give you honest opinions, and be able to take in that opinion. If friends say that something is not for you, make the effort to understand why. People want to help, but you must be able to take that help in. Last but not least tip is to follow the reviews of others to keep abreast of what is trendy NOW. Fashions change like the wind, and the app not only gives you the chance to review clothes on others, it also gives you the chance to see what is trendy today, which is even more important. Score: 4.7. 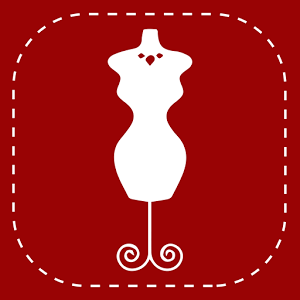 A social network for apparel selection. 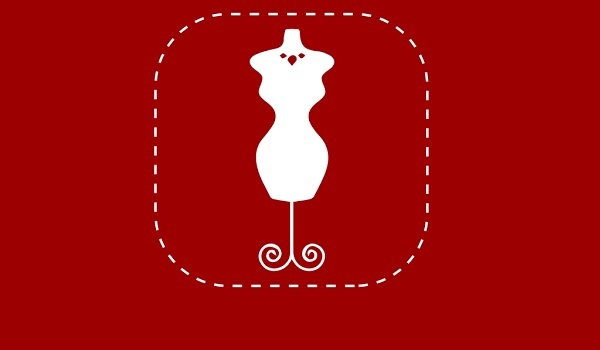 Description: An app that allows friends to vote and review a specific apparel selection by the user, telling him or her if it looks good on her or him. Good Points: Great idea! Simple to operate and very functional. Great UI design. Bad Points: None that really came to mind. We liked this app. Longevity: Everyone who tried it that wants to look good kept this installed. No questions about it.